Amon Amarth is a Swedish melodic death metal band from Tumba, founded in 1992. The band takes its name from the Sindarin name of Mount Doom, a volcano in J. R. R. Tolkien′s Middle-earth. Their lyrics mostly deal with Vikings and the band is often being labeled as Viking metal. 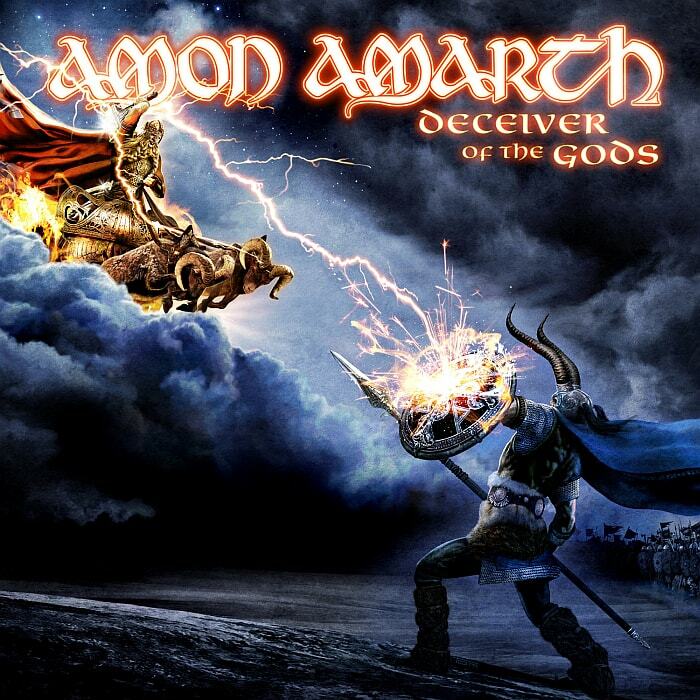 The above is the cover artwork of their ninth studio album, Deceiver of the Gods, first released in Sweden and Finland on June 19 2013. The font used for the album title in the cover is Omnia, a unicase font designed by Karlgeorg Hoefer based on the all-caps handwriting in the 3rd-9th centuries. As for the band logo font, it seems we can not find an exact match now but you might find some very similar ones in our free Celtic fonts collection. The Omnia font identified above is not available for free, please follow the link above and purchase the font. Meanwhile, you can take a look at our collection of fonts for cars, pop music and apparel as well as round-ups of new & fresh fonts around the web. In addition to Amon Amarth, It seems we can’t find other examples (logos, movie posters, album covers etc.) of Omnia typeface in use.